Don't miss my next sale by signing up for email updates plus get a 15% off coupon just for signing up! 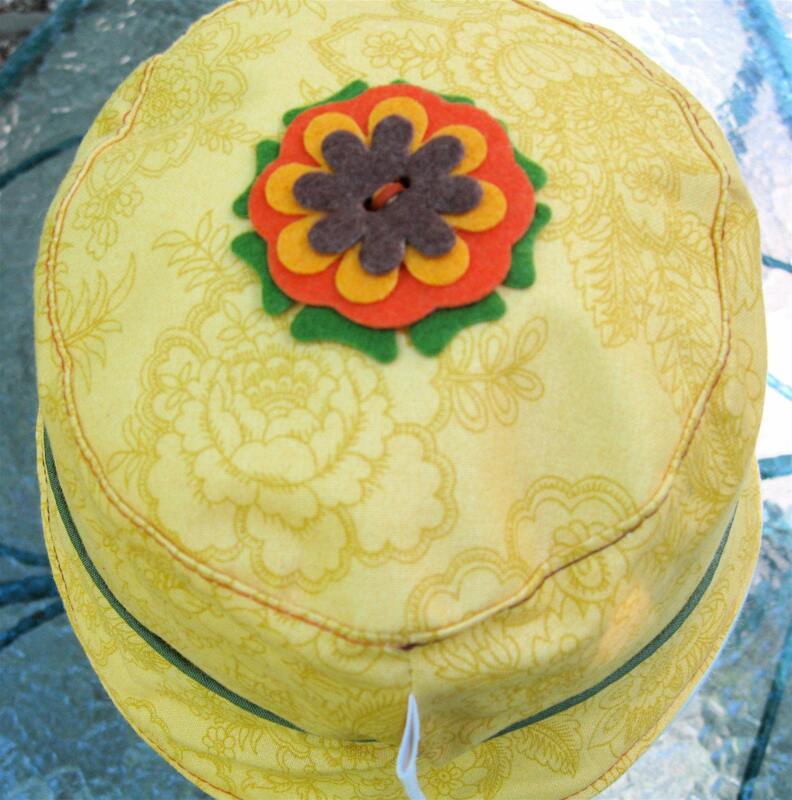 Pretty felt flowers adorn the top and front of this adorable baby hat is made from a cheerful yellow cotton fabric on the outside and rimmed on the hat band with a green piping trim. 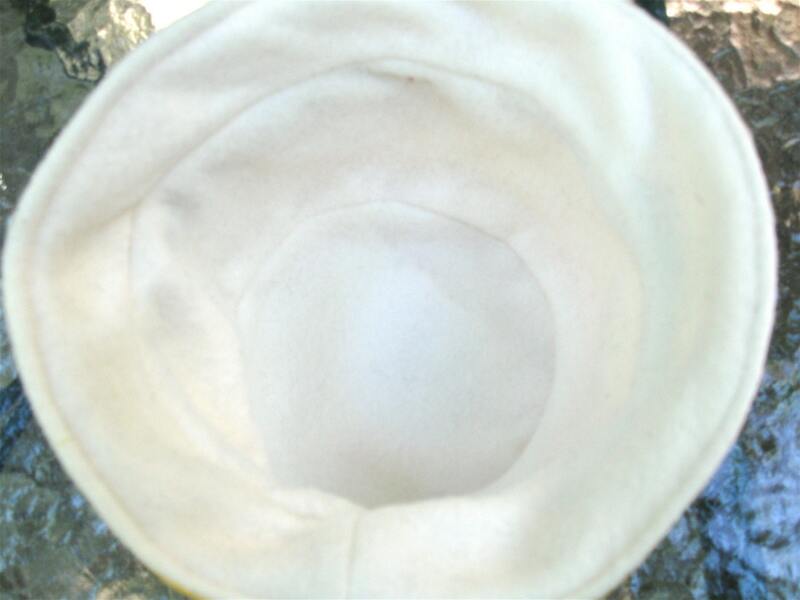 The inside of the hat is lined with soft, cream colored fluffy fleece with no labels to bug her little head. 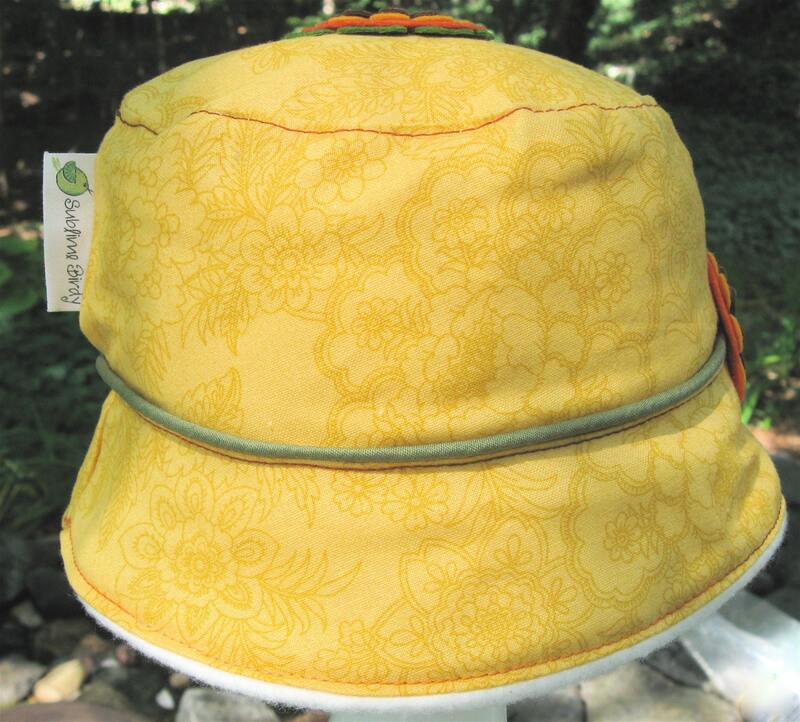 This hat has been made for ages 6-12 months with a maximum 17.25 inch circumference and is washable in cold water and line dry. I always try to accommodate my customers needs, please let me know if you need a harness opening for your dog's coat because that is a different cut than my standard style so that I cut accordingly for your needs. All Harness openings are created on the mid-seam 2 inches down from base of the collar and with a 1.5 inch length opening. In most cases a weather tab is included. 1. A. XS back length: 11.5" B. Side Length - 5.5" C. Girth: 14" - 21"
2. SMALL A. back length: 16" B. Side Length - 7.5" C. Girth: 18" - 29"
3. MEDIUM: A. back length: 20.5" B. Side Length - 10" C. Girth: 23" - 37.5"
4. LARGE A. back length: 25" B. Side Length - 12" C. Girth: 27" - 45"
If you don't know your dogs measurements you can easily measure each size aspect A, B, and C. With a measuring tape for A, measure your dogs body length from base of neck to back above the tail. For measurement B measure from center of the spine down the side of the dog as far as you would like the coat to go. And finally to get measurement C, the girth, measure around the belly of the dog at the central point. 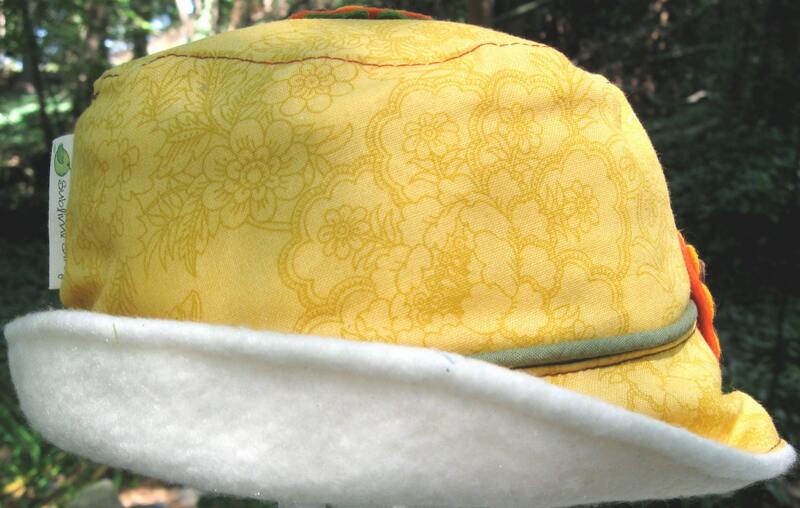 Want an alert for new product, a sale or coupon code? I promise I won't fill your inbox with tons of mail nor will I share or sell your email address. 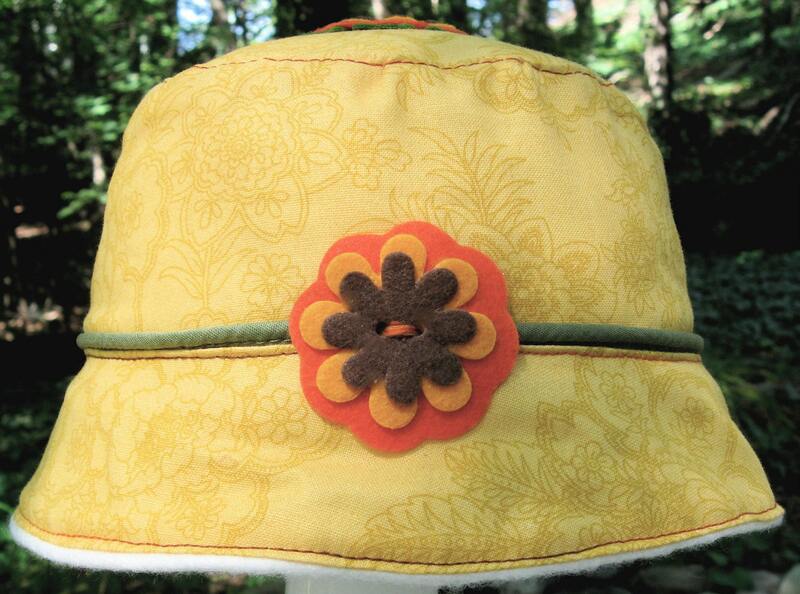 You will only get an email update from me when I have a sale planned or a special coupon code for loyal customers. and, to thank you for signing up you will get a 15% off code good for one time use on your next purchase.